"I JUST HAVE TOO MANY SOCIAL LINKS!" If you ever thought this while playing Persona 4 Golden, Yu Narukami proves that he feels it too. A light-hearted chaotic afternoon in the latest episode of Persona 4 the Golden Animation allows us to comically see just how Yu deals with managing his time with friends and will be completely charming for those who ever intensely planned their Persona 4 social links. Through this scenario we are also treated to a much appreciated softer side to new character Marie, making "The Perfect Plan" a satisfying feel good episode. I believe this is what anime fans call 'tsundere'. 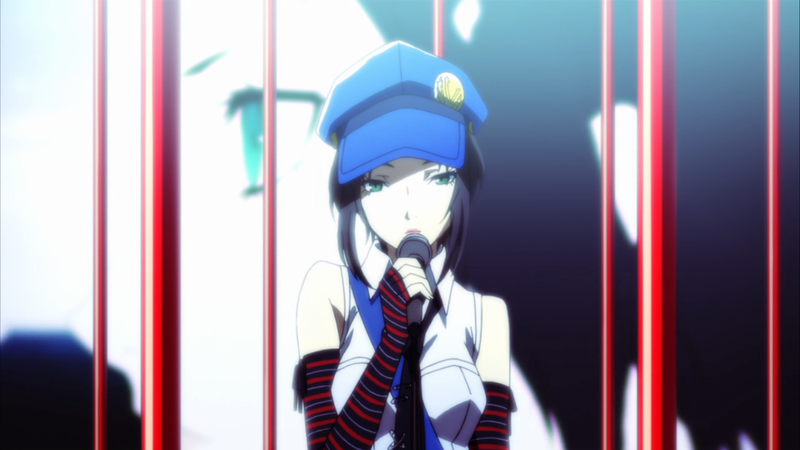 The show begins in the Velvet Room, with a scene that is another tribute to the events of Persona 4 Golden, specifically Marie's unique poems. This scene shows a bashful side to Marie, which serves as a good introduction to the way she acts in the episode. In fact, 'innocent' is the word I'm left with to describe Marie by the end of the episode. The things she says are usually miscalculated, but she always justifies them with kind intent and a beautiful curiousity to the world in a way that never feels cheesy. 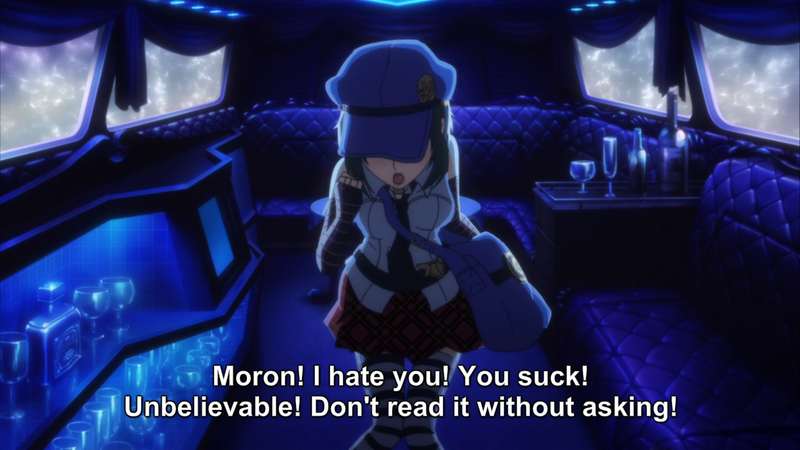 Her misguided observations of the world made me smile and I would argue she comes across much more kind-hearted in the anime than she did in Persona 4 Golden. This episode also features what we can probably expect to be the permanent opening for this series. This new opening is very similar to the opening of Persona 4 Golden; fans of the show will recognise the kaleidoscope and silhouette themes immediately, as well as the overall style theme and it's choice of colours. This opening also shows something very important and frankly needed to establish context for the show; Yu Narukami's 'stats' (watchers of the first anime and players of the game will recognise this) are maxed. Considering the pace of the last episode's story along with this one (the show skipped an entire month and Kanji's dungeon! ), this pretty much confirmed to me that the show is a 'New Game Plus' run through of the original anime/game. This means for new fans of the show you may end up lost if you haven't watched the original series or played either version of Persona 4. I mentioned this in my last review as well - I recommend going back to either of those (or both if you're keen - I'd recommend the game more though!) before watching this in order to get the maximum enjoyment out of the show. "The Perfect Plan" has a brilliant scenario including Narukami's double booked plans going haywire. This reminded me of one of my favourite things about both Persona 4 anime, which is watching the characters deal with Yu grinding his social links. In the Persona 4 Animation, we saw Nanako go on her own investigation to reveal why her Big Bro was out of the house constantly. This time we see Yu Narukami unable to turn his friends and Nanako down and his efforts to try to please everyone, along with Marie charming people with the seemly strange things she says. Partnered with the still lovable characters from Persona 4, I was laughing out loud at all of the comical moments in the show. Some of the moments in the Up Close and Personal plan were seriously priceless. I applaud the use of music in this episode and the way it fit with scenes, but I can't say I feel as positively about the animation at times. The animation quality seemed to drop occasionally to Persona 4 the Animation's less detailed style. With all of the high grade animation we see in usually scenes with Marie, it would be nice if the other characters received the same treatment and consistency. Also, I had nowhere to write about this awesome outro. This was great. Now that the show has confirmed itself as 'New Game Plus', I feel safe saying that viewers who are experienced with the Persona 4 series will enjoy this humorous take on the game's characters and social scenarios. Even with it's sometimes inconsistent animation, the episode shows multiple sides to new characters and uses what's great about the characters we know and love to make a strong second episode to Persona 4 the Golden Animation. I laughed out loud many times while watching this. Fans of the game probably will too. Episode 2 of Persona 4 The Golden Animation is available now to members of Crunchyroll's Anime Streaming Service. If you're not a member, you can either wait less than 12 hours to watch the "The Perfect Plan" or purchase an ad-free monthly membership. Want to share you opinion on the episode? Comment below! Or you can tweet @JRPGJungle or email jrpgjungle@gmail.com with your thoughts or constructive criticism.